Entry: Likes to cook meals for the defenseless Pokemon. 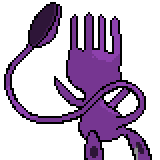 Potluck: User creates a meal every turn, will give a random stat boost, or increase Health points, if a double battle is in progress, the ally will also eat. Step 3: Soar to an Island Shaped like a Spoon Below Holon and you will only have access there until You Faint or Catch Delta Mew. 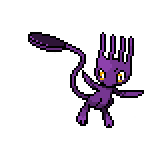 You will Find Delta Mew at Lvl 70 like Normal Mew .